Thanks for all the questions to comment on in the past week. I received one interesting question that I thought was worth responding to as it goes straight to the heart of how we believe we should treat our customers. We have always been collector-friendly and valued the input of our customers, both large and small, as we build relationships with everyone and this is the crux of what we still call a family business. Anyhow, it was asked of me why someone should sell with us when some of the other auction companies are offering the “Lowest Buyer’s Fees” or “Sell for Free” concepts in their ads. The short answer is that both these are misleading the buyer. In an auction, the buyer’s fee is a tax on the buyer so that the selling agency can attempt to earn an extra percent or two on a coin. And when someone says that they have the Lowest Buyer’s Fees, this is categorically wrong. The Lowest Buyer’s Fees is 0% for an auction. So yes… it’s #FakeNews. Onto the next idea, “Selling for Free.” We actually thought about this marketing campaign a long time ago, but the entire concept of the idea is false. The concept is that there are no seller’s fees on the auction, as the fees are all passed along to the buyer. Well, the seller is still receiving just a portion of the total price that the seller received, so it’s not selling for free. At DLRC, we’ve never charged listing fees, buyback fees, or imaging fees, and we don’t charge exorbitant shipping fees. We may charge a flat rate for shipping, but we don’t need to nickel and dime a buyer or a seller. When you take it all into account and try to figure what you’re going to receive when you sell our coins, we want it to be transparent, clear and easy. That’s the basis of who we are and what we do. We want to be your Partners in Collecting and your Friends in Numismatics. And we want to share our Love of Coins with each of you, whether you’re buying, selling, or consigning. We don’t make a dime unless we sell your consignment for you. It’s a partnership with us where we actually earn our proceeds by doing the best we can for buyers and sellers! Without our customers we wouldn’t be here, and we want to always remember that as it’s who we are and who we will always continue to be. Whether there are two of us (as it was in 1979) or 25 of us, DLRC pledges that and we hope that you appreciate it as well! 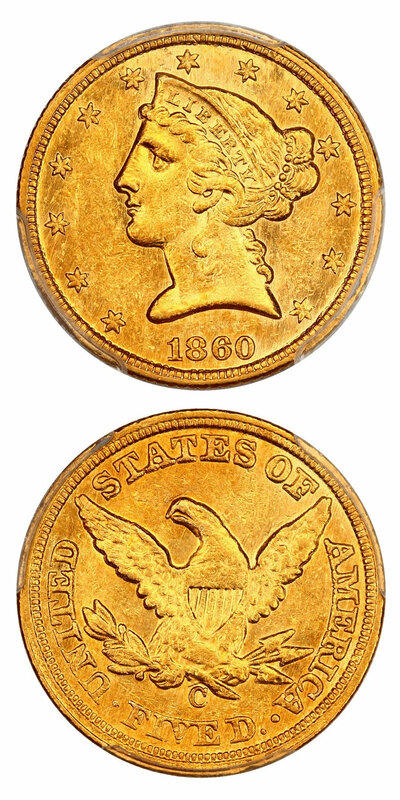 Why we love it: The 1795 Half Eagle is a numismatic gold rarity desired greatly by both the most advanced date and type collectors. This extremely elusive, early issue becomes even more difficult to locate in fully original, choice condition. This piece is fresh to the market and is a true highlight in this week’s auction. While similar high-end examples are nearly impossible to locate, this lovely, lightly worn example displays pretty yellow-gold color along purely choice, original surfaces. 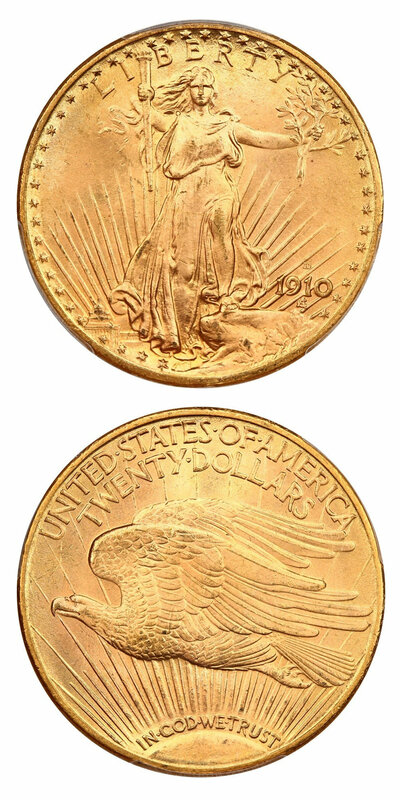 Value: CAC’d examples of early gold issues continue to be the most difficult items to find on the market. When they are located, the prices are not necessarily commensurate to the rarity, but we suspect this to change in the future…they simply seem like great value to us. The ONLY CAC’d example to have been offered in auction was a PCGS-graded piece in 2017. It brought $47,000 in the midst of a much larger offering of coins. 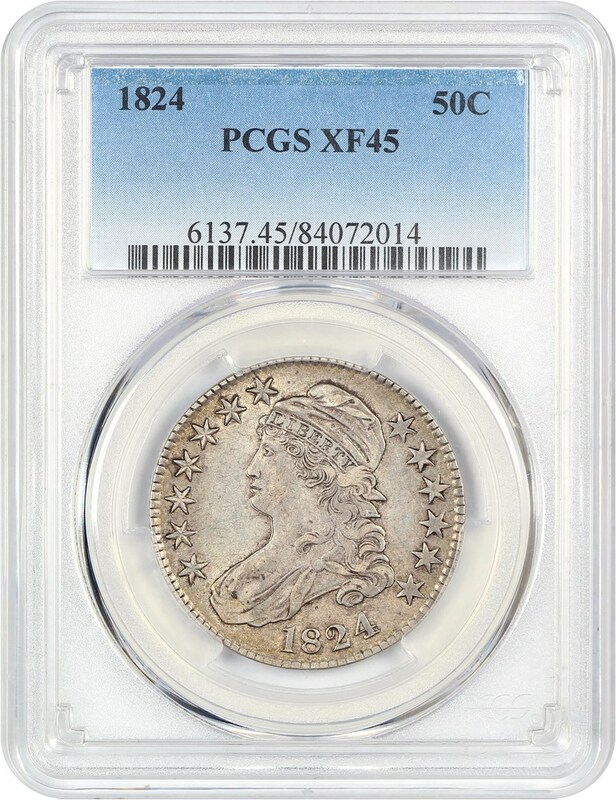 That sale, along with a PCGS Price Guide Value of $50,000 makes the reserve amount for our NGC-graded CAC approved piece of $48,000 in this week’s auction reasonable. Why we love it: This Denver Minted Issue is known for being a slightly better date in the St. Gaudens Double Eagle Series, especially in gem grades with just nine pieces finer than this PCGS example. A stunningly beautiful gem with plenty of flashy luster and immaculate surfaces, lacking any and all notable blemishes resulting in perfect eye appeal for the grade. Value: The most recent sale of this date and grade combination from an auction occurred this past June selling for $6,000. The PCGS Price Guide and CPG Value see the value as much higher with estimates of $7,000 and $8,120. This superb gem is reserved in this week’s auction far under both price guides. Why we love it: A popular and desirable scarce date Morgan from the New Orleans Mint. This Old Green Label Holdered stunner is mostly blast white, full of strong luster and possesses just a few marks on the obverse making it an ideal example of the choice uncirculated grade. One of the desirable low mintages from the popular collector year of 1893, the O-mint gets far less recognition than its San Francisco and Carson City counterparts. Value: The PCGS Price Guide Value for this coin is set at $8,250 in MS63. This bright white, lustrous example of this popular, scarce O-Mint Morgan is available for purchase via Make Offer at just $7,250, which is a generous discount, off a full $1,000 of the price guide. Why we love it: This high-end gem Morgan Dollar displays pristine blast white mirrors across the entire coin. The surfaces are nearly completely clear of any blemish and lacking in any detracting marks. This flashy, CAC approved DMPL Morgan displays premium eye appeal and is beaten by just one finer example with the DMPL designation graded by PCGS. Value: This piece being bested by just one other DMPL for the issue on top of the CAC approval makes it certainly one of a kind and therefore incomparable to any price guide. However, our reserve price of $13,500 in this week’s auction is available to acquire this immaculate deep-mirrored piece. We find it to be an excellent value at that price point. Why we love it: A scarce San Francisco Minted Half Eagle housed in an Old Green Label Holder. From a tiny mintage of just 22,000 coins struck in which just five are graded finer by PCGS. This choice uncirculated example represents the grade well as it features few marks and no detracting blemishes. The eye appeal is stunning between its perfect coloring and incredible luster. Value: As such an underrated rare date that deserves much more attention there has not been a sale recorded in over 10 years at this MS63 grade. The PCGS Price Guide Value does sit fairly at $5,750, yet we are offering this stunning example for a full $1,000 less at $4,750 via our Make Offer function. 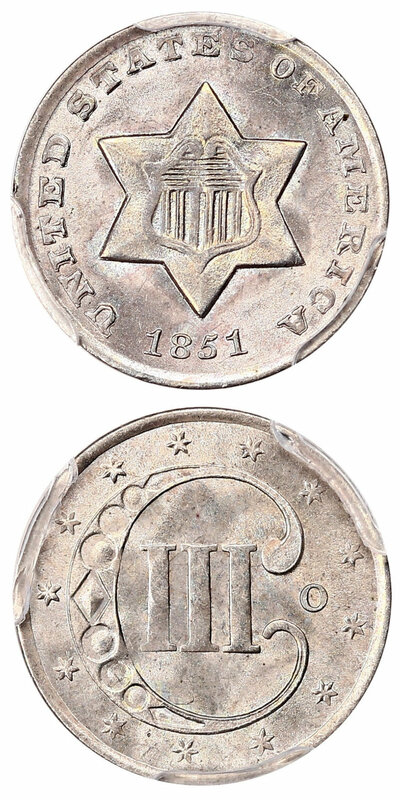 Why we love it: While citizens throughout the South were meeting and deciding on who would represent their interests in the battle for Secession, the tiny mint in Charlotte, NC was still churning out coins for commerce. While only 14,813 pieces of this issue were produced, far fewer survived until today’s world of sophisticated collectors. This extremely lustrous AU example possesses strong, frosty remaining luster along with crisp, ideal golden coloring and some pretty, deep tones. Those characteristics combined with the lack of any real signs of wear make for nice eye appeal for the grade. Value: The Collector’s Price Guide comes in at $8,750 with the PCGS Price Guide Value a bit more conservatively at $7,500. With auction records for a nice AU55 bringing $7,637 in 2017 and a rather unattractive AU58 coming in at $6,300 recently, the pricing is certainly not exact, but we are proud to offer this high-end lustrous slider for purchase via Make Offer at just $7,250. 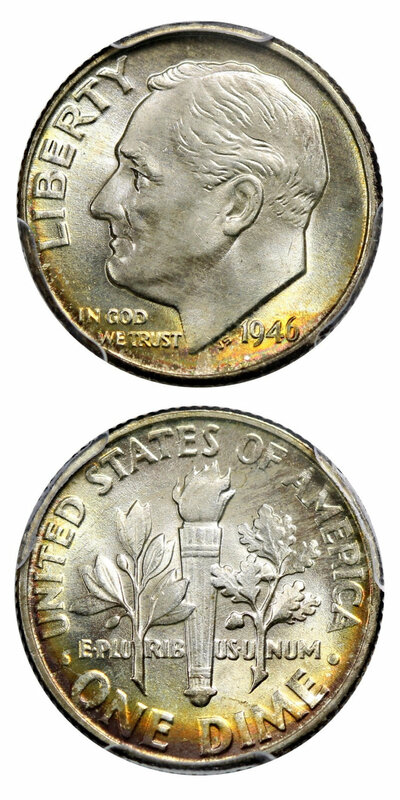 Why we love it: This is a perfect gem example of a recently struck Denver Minted Kennedy Half Dollar. Not only is this coin the finest known for the issue but it is a pop one coin making it the only MS70 in existence graded by PCGS. The eye appeal is therefore perfect along with its incredible luster and completely blemish-free blast white surfaces. Value: This piece being the finest known example for the issue on top of being a pop one coin defines the phrase one of a kind and therefore makes it incomparable to any price guide. However, our best price of $5,000 via our Make Offer function is available to acquire this perfect Kennedy Half. We find it to be a true modern rarity that is perfect for the advanced modern collector. Why we love it: A scarce New Orleans Minted 3-Cent Silver making it the only mint marked issue of the entire series and quite popular as such. There are just three MS66’s with plus grades at PCGS that are finer than this example and no others. This beautiful gem displays lovely gun-metal gray surfaces that feature brilliant luster and lack notable blemishes. Value: The PCGS Price Guide and the CPG Value have both evaluated this coin generously at a respective $5,500 and $5,000. This beautiful, lustrous gem example of this O-Mint 3-Cent Silver is available for purchase via Make Offer for just $4,100, which is around a thousand or more below both price guides. Why we love it: A lovely ultra-gem CAC approved D-Mint Washington Quarter whose issue possesses only one finer example that is just a plus grade difference. The captivating eye appeal is headlined by its gorgeous rainbow toning with highlights of gold, magenta and green. Its full, strong strike, blemish-free surfaces and underlying luster complete what is a true registry quality piece. Value: The PCGS Price Guide Value for this coin is set at $5,500 without factoring in the premium of a CAC sticker. This gorgeously toned ultra-gem Washington Quarter is available in this week’s auction with the reserve set at just $5,250, which is still below the price guide even with CAC approval. 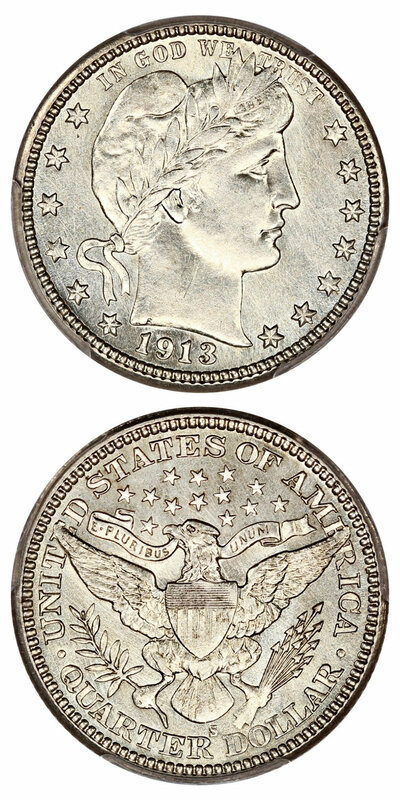 Why we love it: One of the big three key date Barber Quarters, the 1913-S comes from the lowest mintage of any 20th century silver coin issue with just 40,000 coins struck and few preserved in high grades. This lovely, lustrous slider has no visible wear and simply stunning surfaces that could have easily graded uncirculated. The excessive luster and original, mostly white surfaces make for gorgeous eye appeal. Value: The PCGS Price Guide Value estimates this piece at $13500 with the CPG Value a bit higher at $14,500. This lustrous AU example of this famous key date Barber Quarter is available in this week’s auction with the reserve set below both price guides at just $13,250. Why we love it: A choice AU example of this popular early Colonial Issue. CAC no longer stickers Colonial coins making these difficult to locate with the coveted sticker, which increases the desirability of this piece greatly. This deeply toned example is high-end for the grade as it displays barely any visible signs of wear. Value: The PCGS Price Guide Value for this coin is set at $1,500 without factoring in the premium of the rare Colonial coin CAC sticker. This attractive AU Colonial is available via Make Offer at just $1,075, which is a sizable discount of $425 off the price guide. Why we love it: A gorgeous gem Half Cent type coin with lovely eye appeal. This beautiful piece displays pristine red-brown surfaces with plenty of remaining bright red spots especially on the reverse. Aside from the coloring, it’s the blazing luster that gives this coin its extreme beauty for the issue. 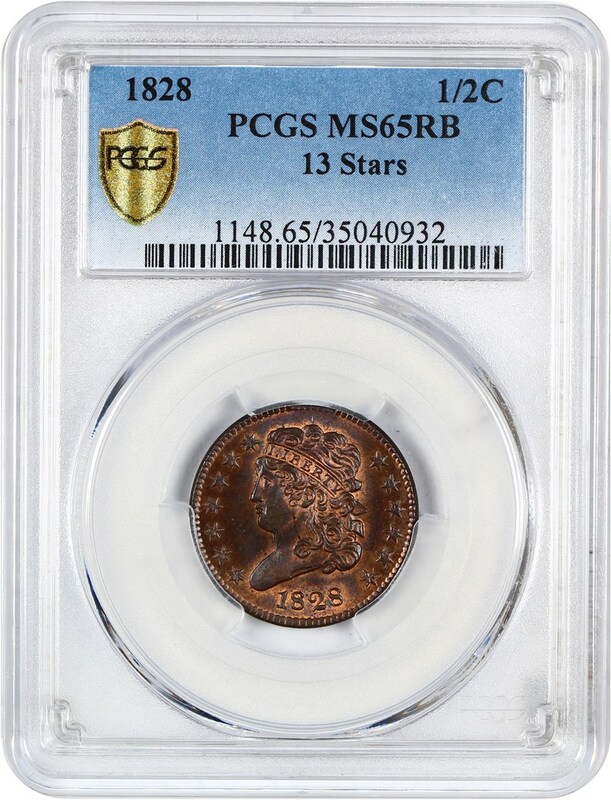 Value: The PCGS Price Guide Value for this coin is set at $3,900 in MS65 with its lovely red-brown surfaces. 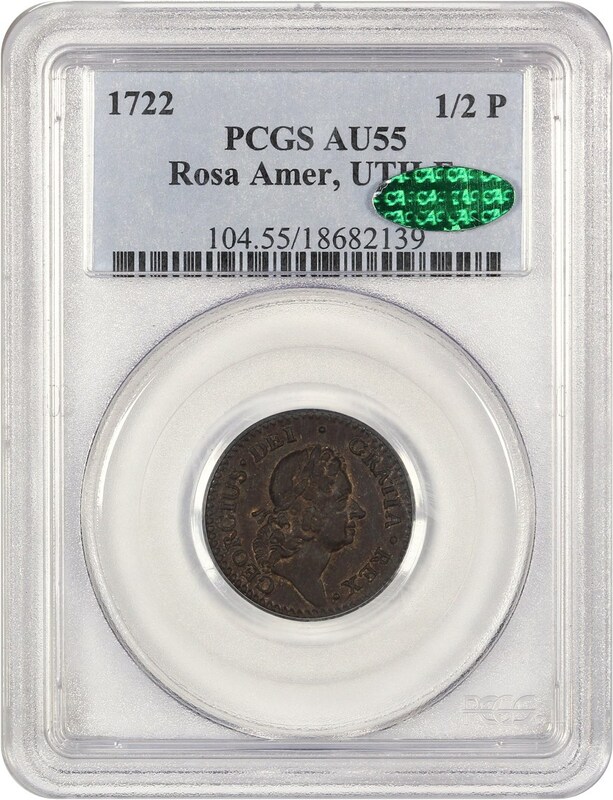 This beautiful gem example of this popular, scarce Half Cent type coin is available via Make Offer at the best price of just $3,250, which is a fair discount off the price guide of $650. Why we love it: One of our favorite design types, though short-lived, this is nearly perfect ultra-gem example of this popular and desirable Type 1 D-Mint Buffalo Nickel type coin. This coin displays well-struck, pristine surfaces that are covered in lovely rose-gold toning with blue highlights. There are just two examples graded MS68 at PCGS and none finer making that CAC approved MS67 an incredible value. Value: The PCGS Price Guide and the CPG Value have evaluated this coin comparably at $2,450 and $2,560 without factoring in the premium of a CAC sticker. 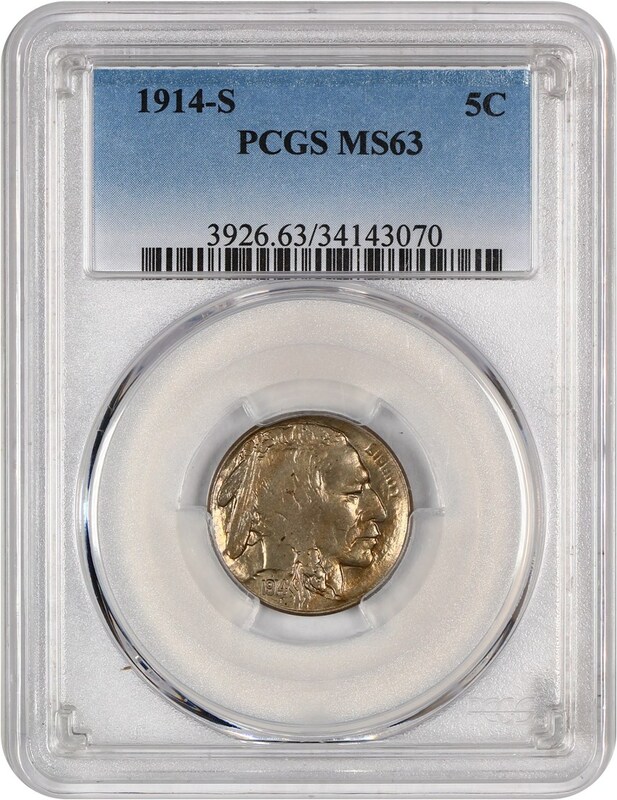 This lustrous immaculate gem Type 1 Buffalo Nickel is available through our Make Offer function at $2,250, which is below both price guides even with CAC approval. Why we love it: A choice uncirculated example of this early better date San Francisco Minted Buffalo Nickel. This wholesome and quite affordable example displays a lack of detracting marks and subtle toning that complements the excessive amounts of strong luster beautifully. Value: The PCGS Price Guide and the CPG Value have both evaluated this coin accurately and comparably at a respective $360 and $390. This lustrous example of this slightly scarcer S-Mint Buffalo Nickel is available via Make Offer at just $325. Why we love it: An incredible ultra-gem example of this first year of issue Roosevelt Dime in which PCGS graded just three others finer. These immaculate surfaces display a strong strike covered in stunning luster and a small amount of pretty golden toning around the lower periphery. Value: The PCGS Price Guide Value for this coin is set extremely accurately at $260 with the plus grade. This lightly toned, stunning ultra-gem Roosevelt Dime is available through our Make Offer function at $250, which still comes in below the price guide. Why we love it: A great, affordable type coin for the popular Capped Bust Half Dollar Series. This piece is a truly choice XF as the wear and color are light and even across the surfaces with mostly all details still sharp and clear. This coin can seemingly pass for a low-end AU. Value: The PCGS Price Guide Value for this coin is set extremely accurately at $250 in its choice XF grade. We are offering this affordable Capped Bust Half Dollar type coin below price guide at just $230 via Make Offer.